I know some people don’t think Disney should be remaking all their movies but, personally, I LOVE IT. These are the animated films I grew up on and now Disney is making them REAL. Well played, Disney, take all my money. 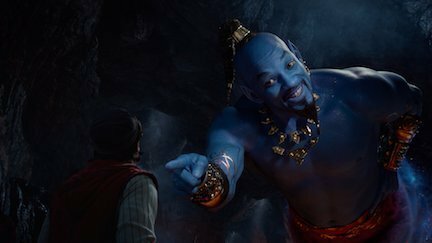 Just out tonight is the first TV commercial for Aladdin, including our first peek at Will Smith in Genie Blue, hitting theaters on May 24th.